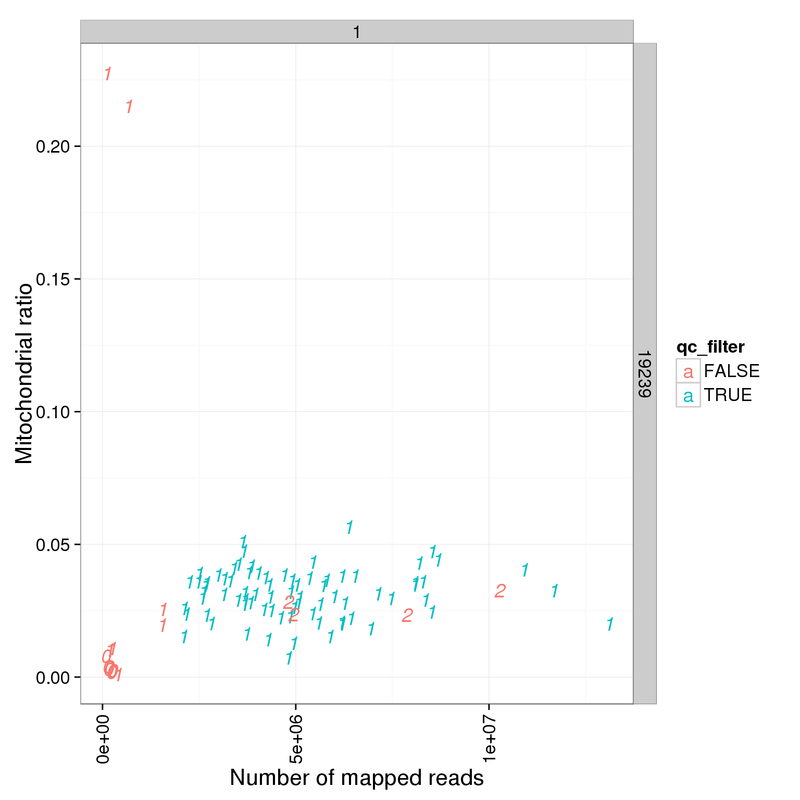 This is the quality control at single cell level of 19239 LCLs. 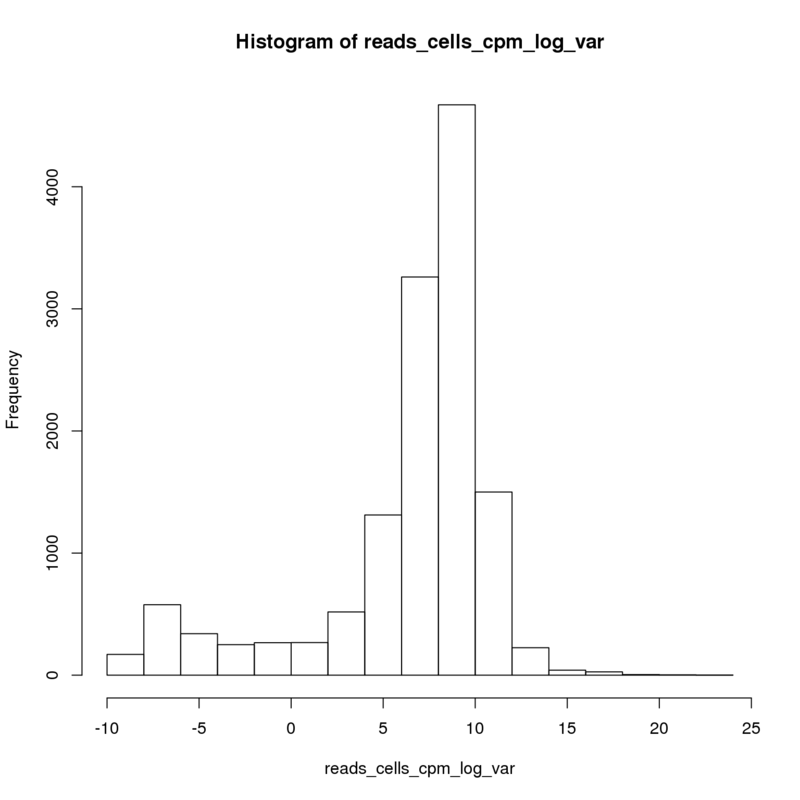 96 cells were collected on a C1 prep. 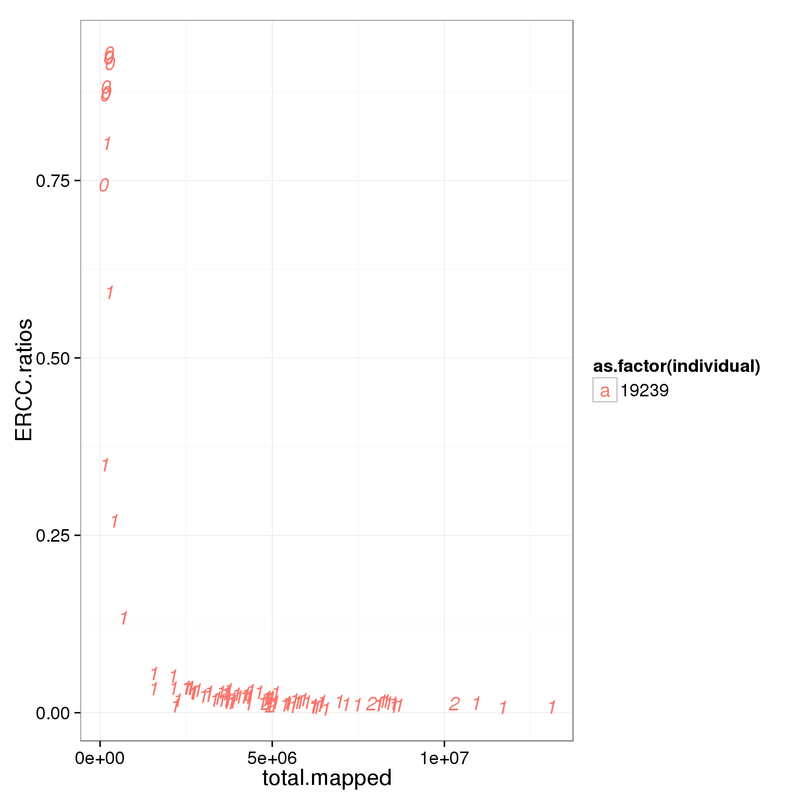 I only purchased enough Tn5 from Epicentre for the generation of transposomes with 24 different barcodes. 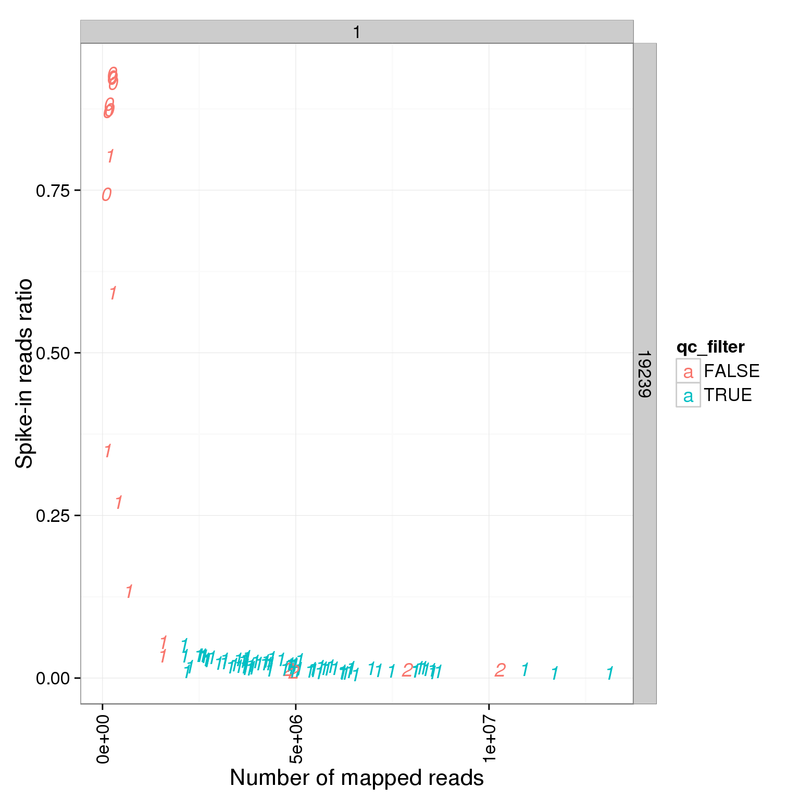 As a results, the 96 cells were divided into four groups, each have 24 cells, for library preps (4 batches) and for sequencing (4 lanes). 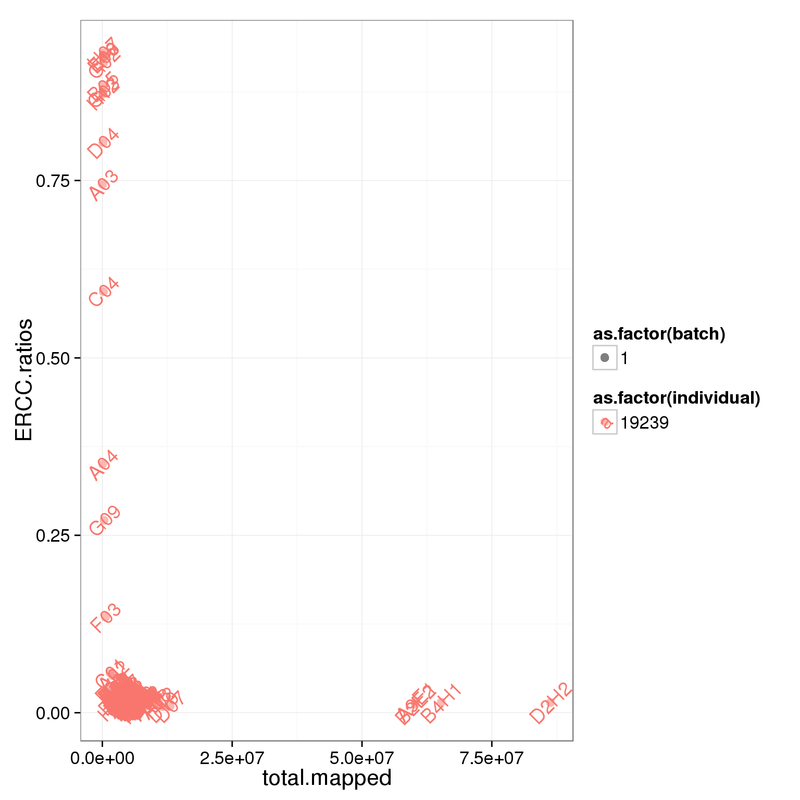 Additionally, 4 individual cells collected from a different C1 prep were sujected to library preps using either the Epicentre Tn5 (A9E1 and B2E2) or the home-made Tn5 (B4H1 and D2H2). 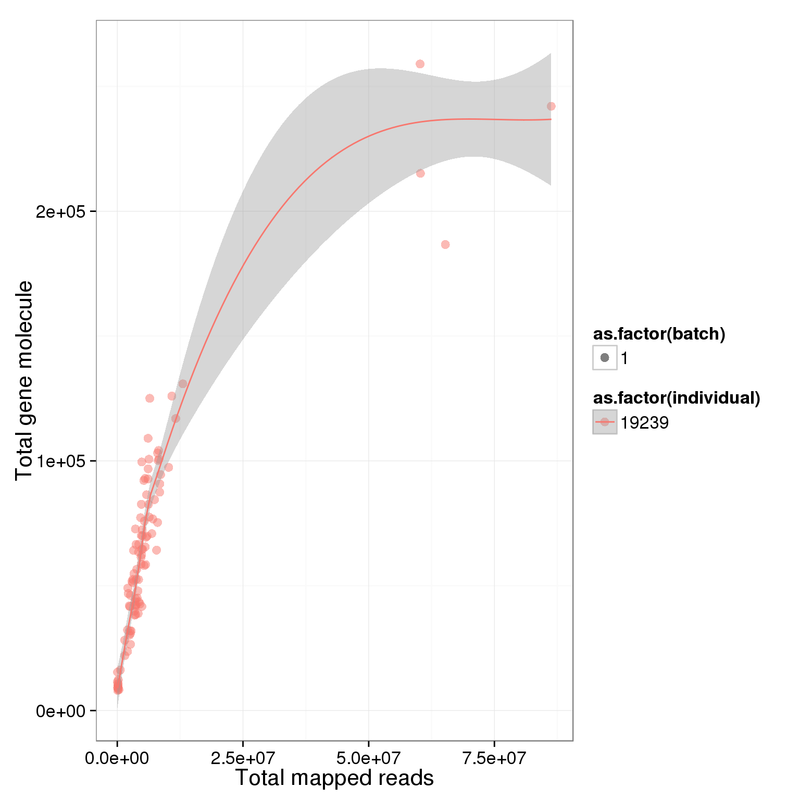 Based on the observation that these is a dinstint cell population with more than 2 million reads, we used it as a cutoff. 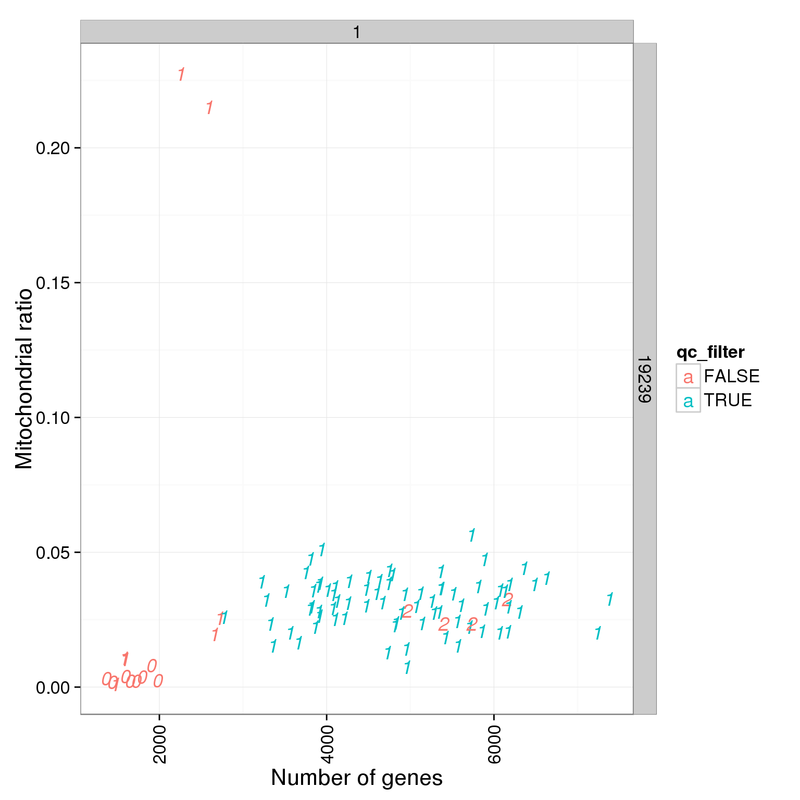 Number of genes deteced in LCLS are smaller than iPSCs!!! 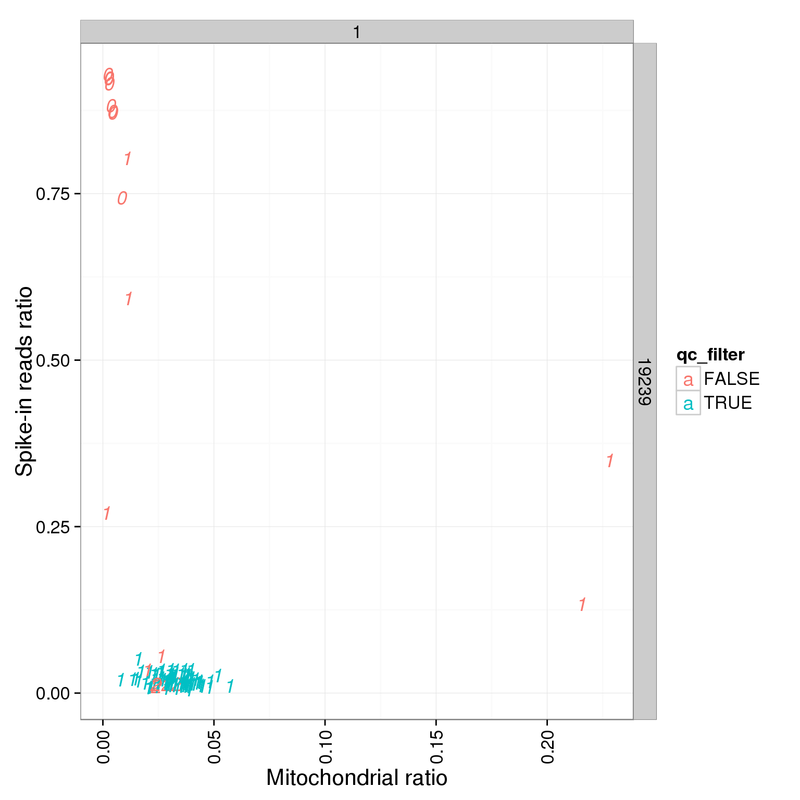 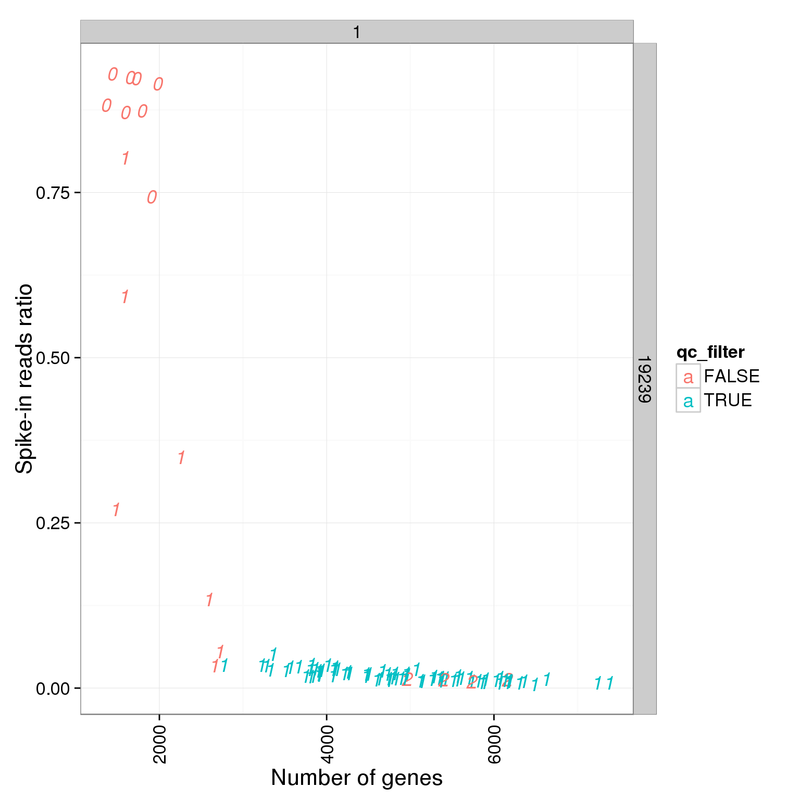 What are the numbers of detected genes of the 4 heavily-sequenced individual cells? 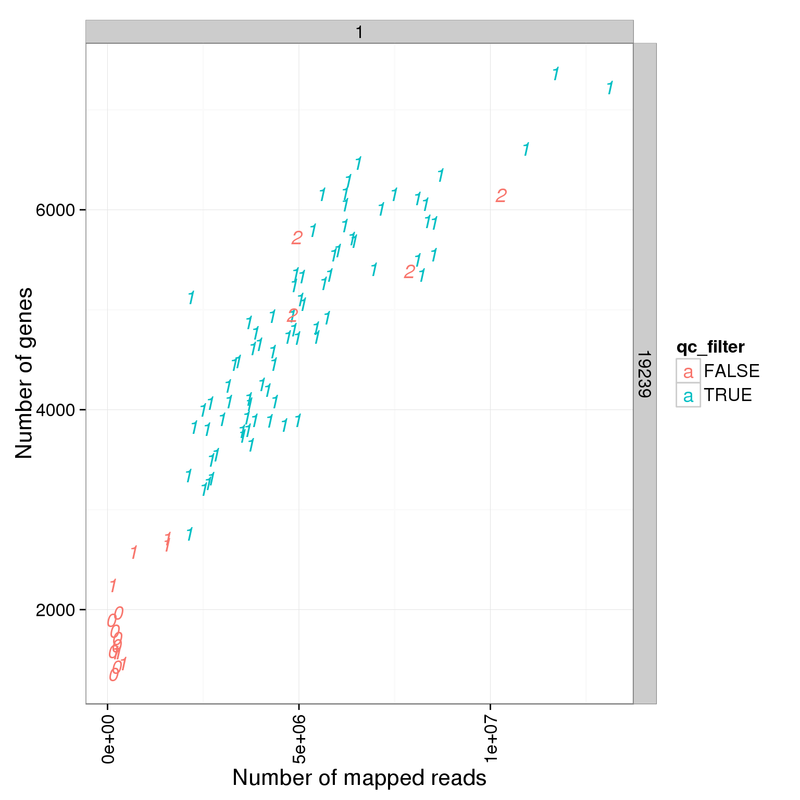 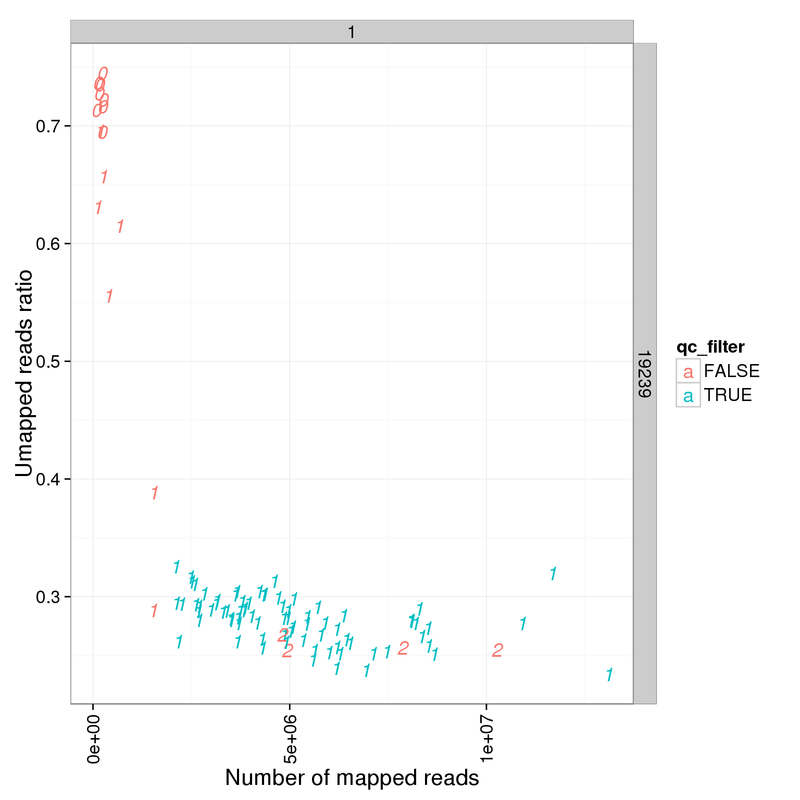 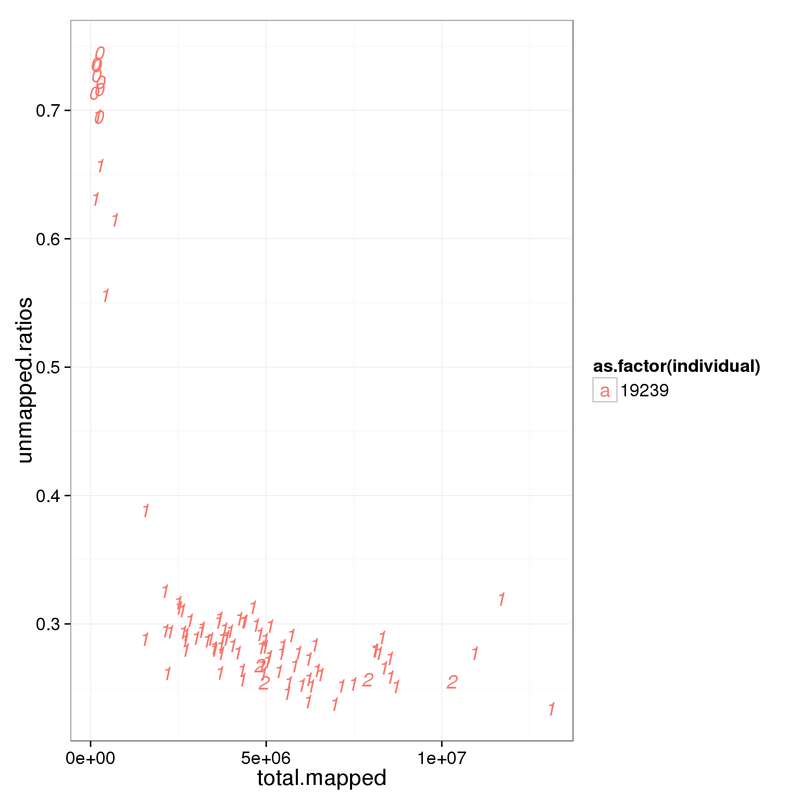 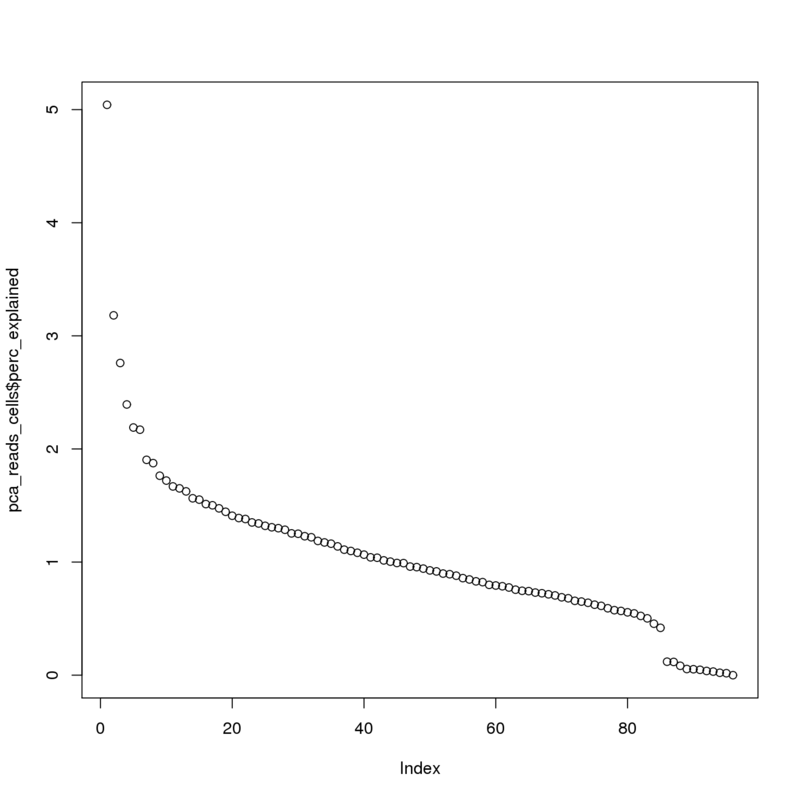 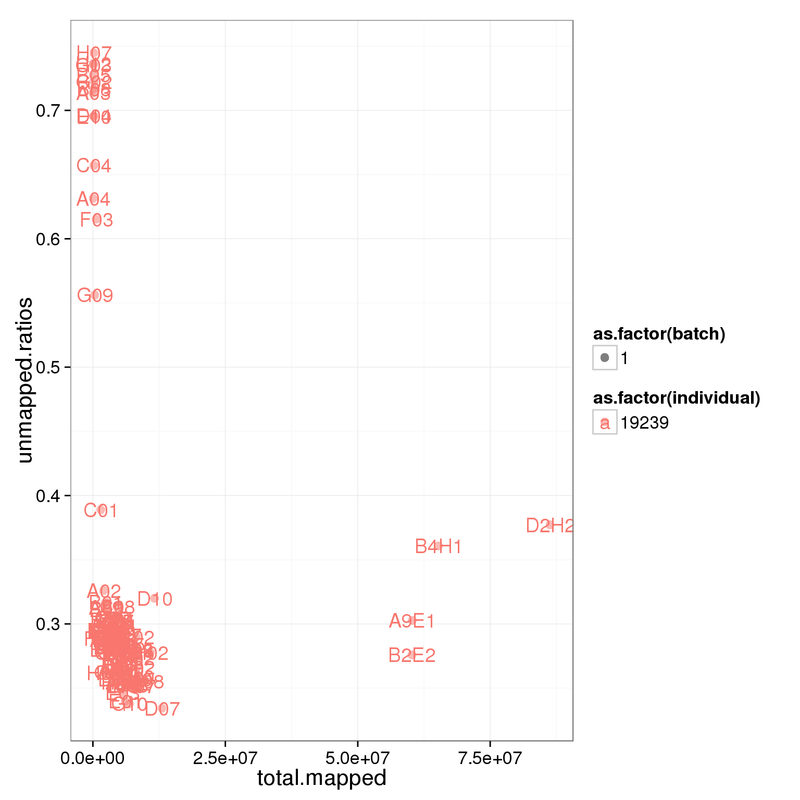 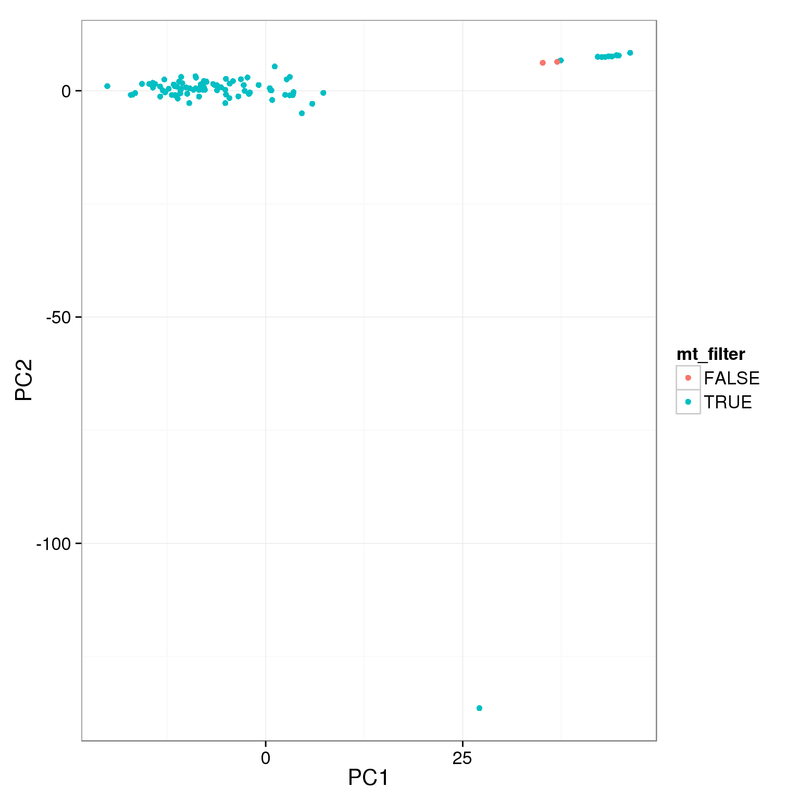 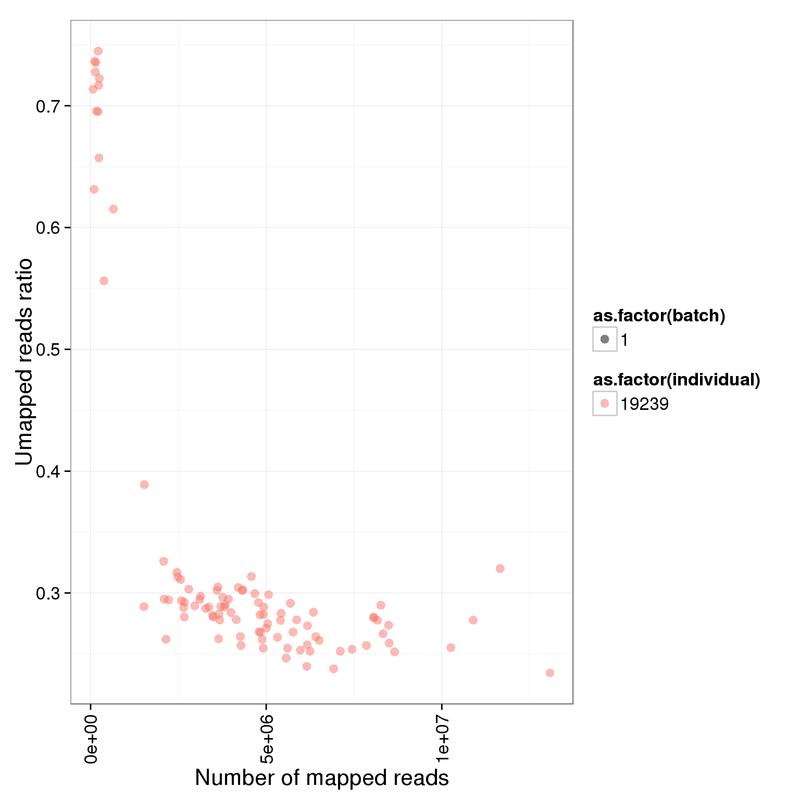 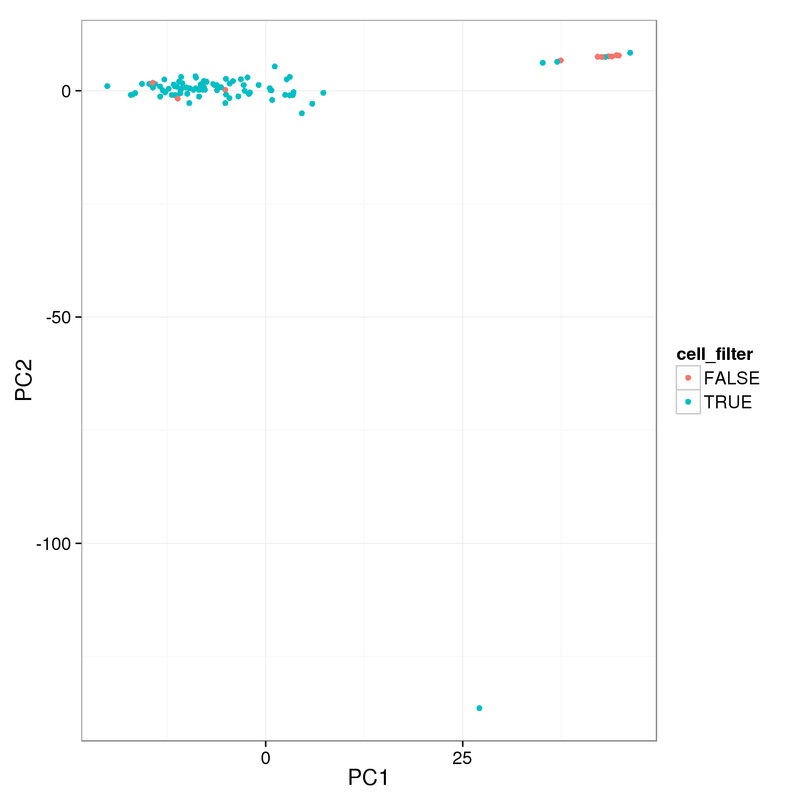 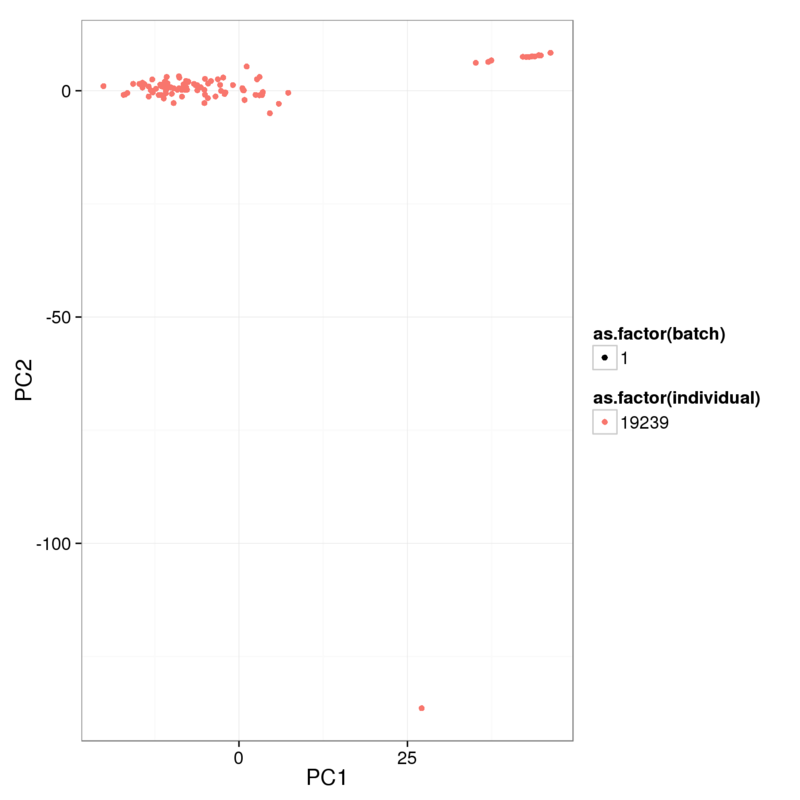 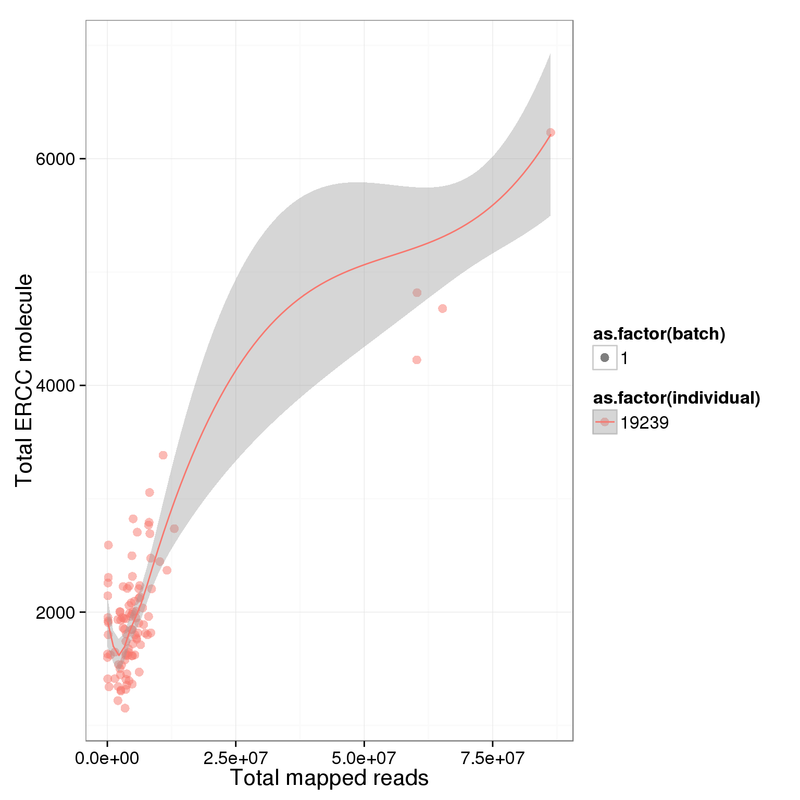 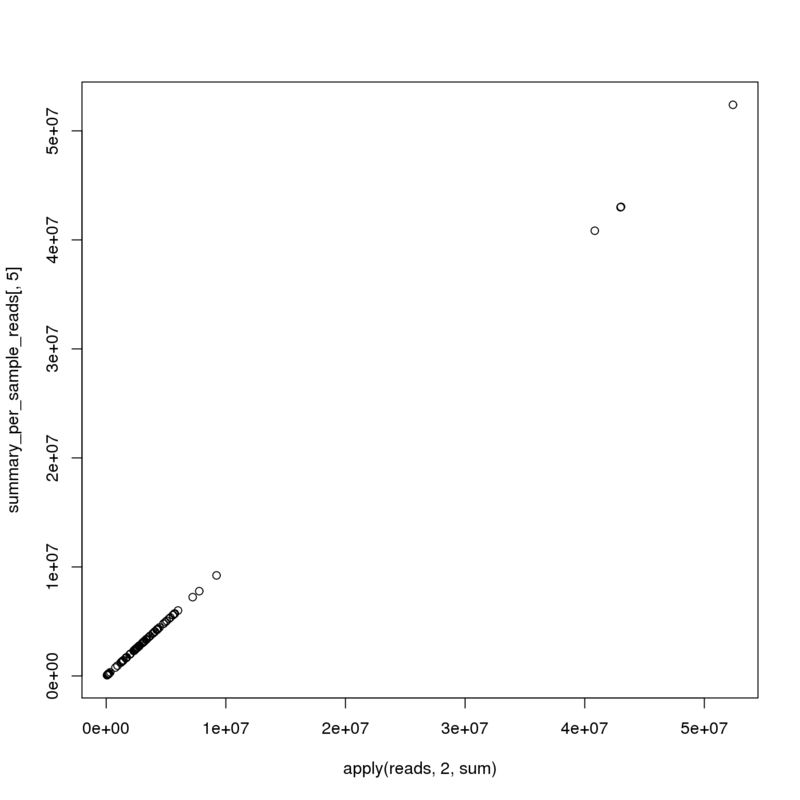 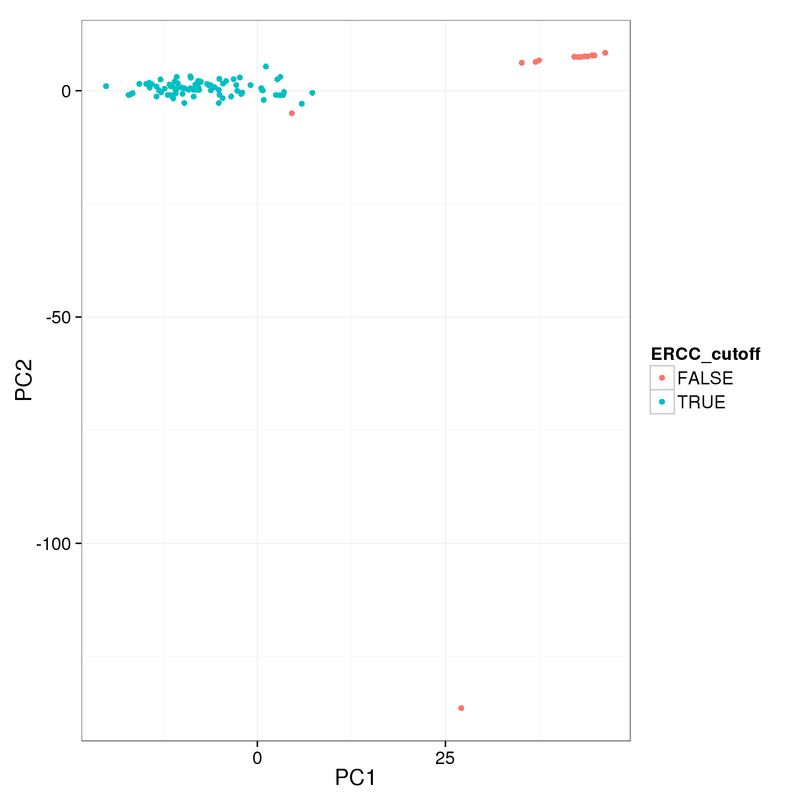 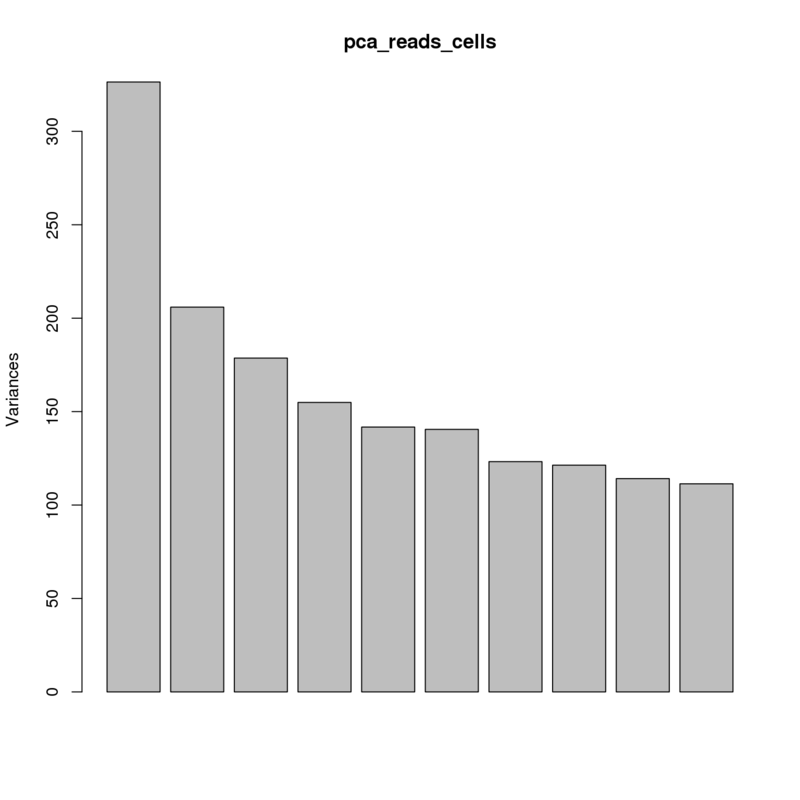 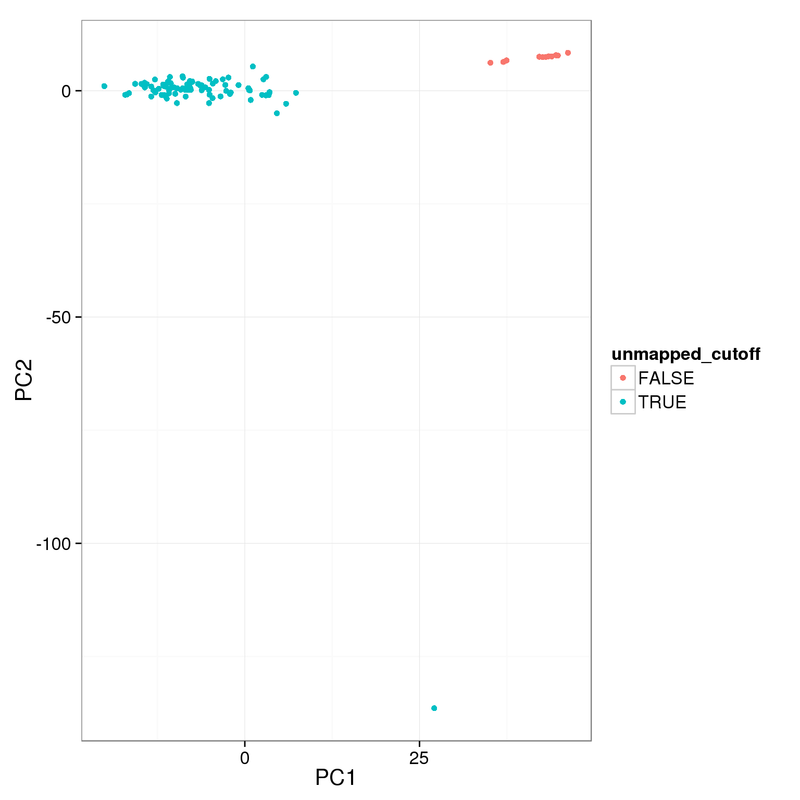 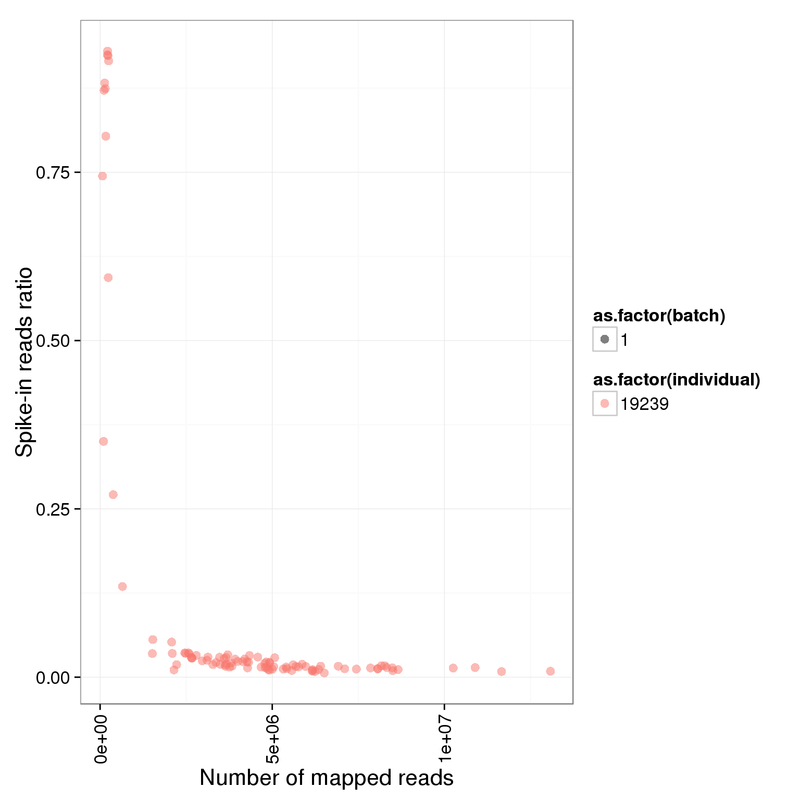 Using the 6473 most variable genes, perform PCA. 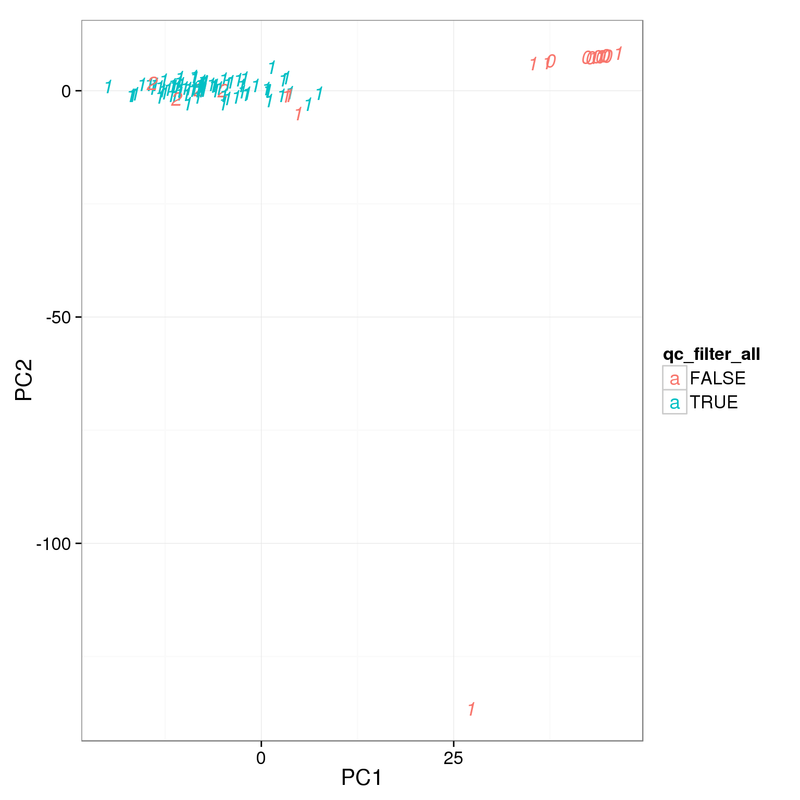 The first PC accounts for 5% of the variance and the second PC 3%. 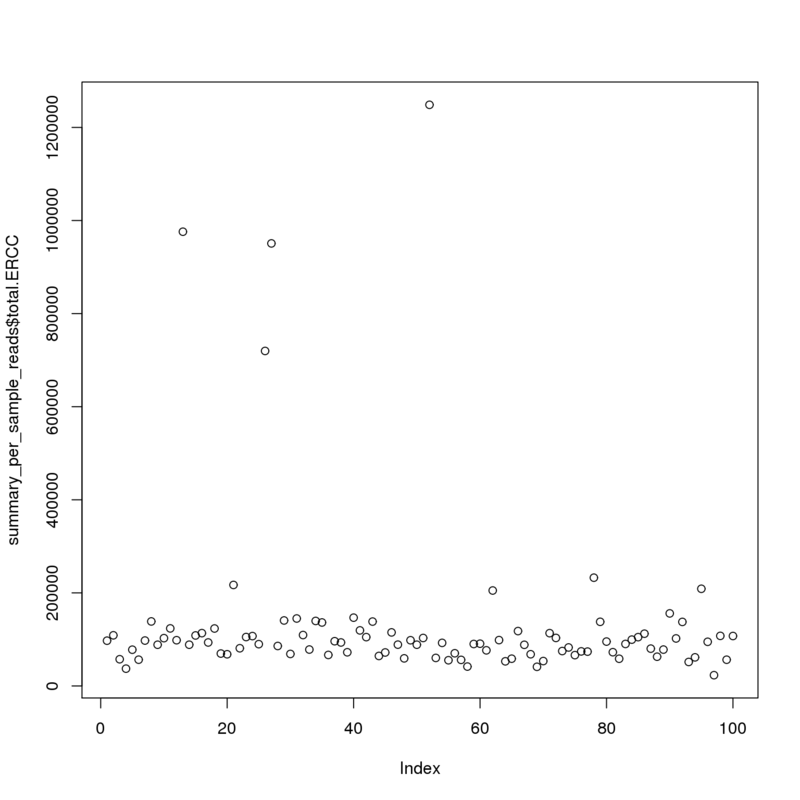 Using various simple filtering cutoffs.